We’ve been receiving lots of requests to pay using Steam Wallet Codes during the past year. Recently, Steam has added Steam Digital Gift Cards and we decided to finally accept this as an official payment method for most of our design plans. You can look at the bottom of each custom plan for the Steam Gift Card icon to see if it’s accepted and how much you need to pay. - you can also pay with Steam items (marketable keys are preferred) for some of our plans. - prices might change without notice, depending on market conditions. - prices that are in EUR but can be converted in USD when necessary at the XE exchange rate of the day. 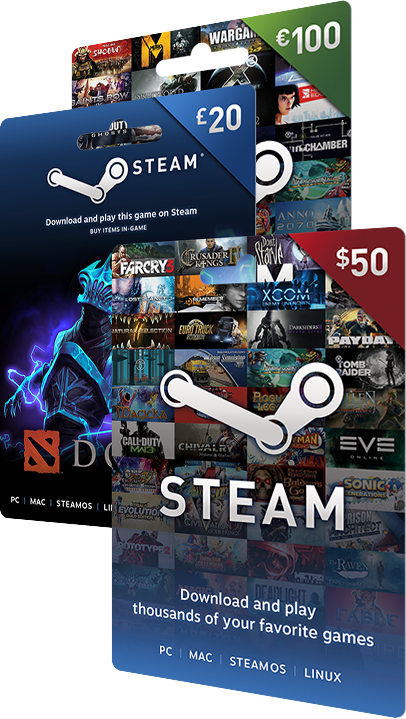 Visit Steam to learn more about Wallet Codes & Digital Gift Cards.